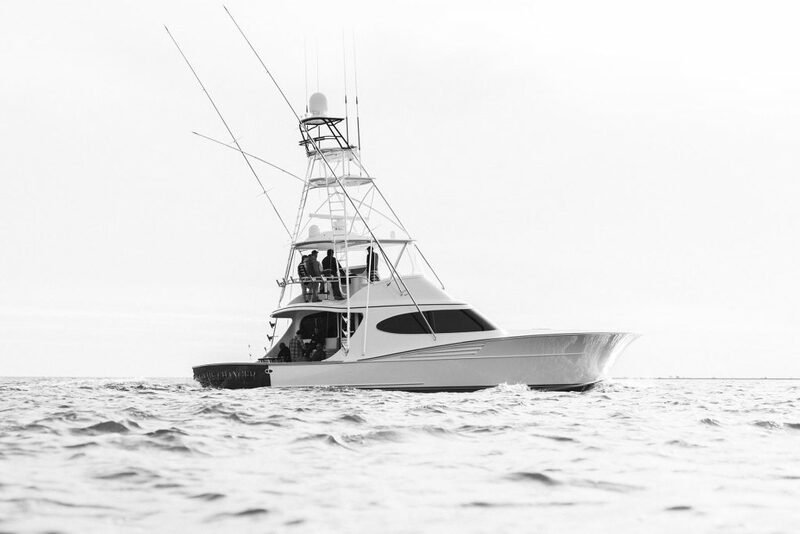 GameChanger’s hull is blanketed in the classic Cloud White hue and is clad with impeccable faux teak compliments punctuating the transom, cabin, and bow deck –a true display of the GameBoat principle that contends maintenance should be manageable. 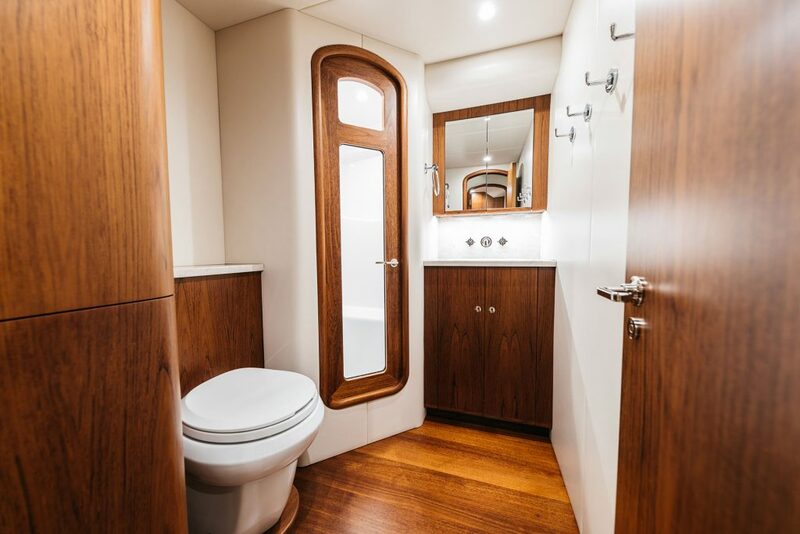 GameChanger’s faux teak details are extensive, and include the transom, drip molding, toe rail, helm pod, and salon door. Her windshield is black, and she is equipped with a full tower. 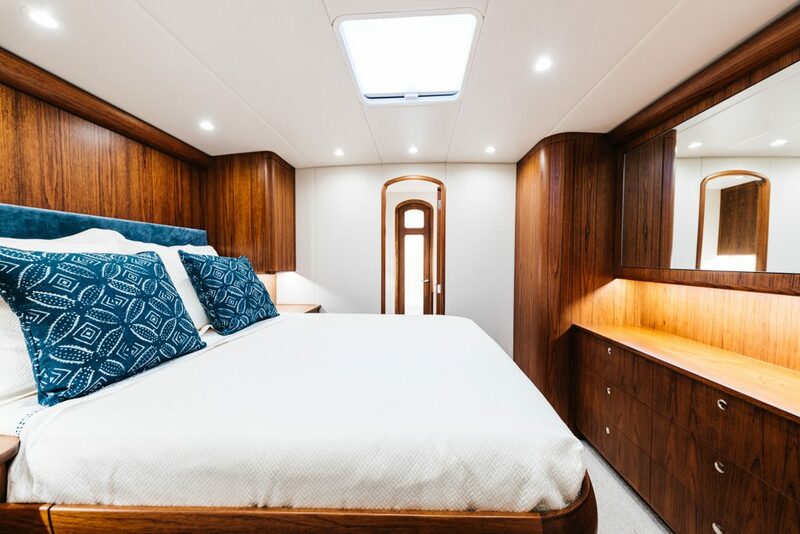 The forward Master stateroom is generously sized; teak details are the main standout, including two full length hanging lockers oriented to the starboard, with a full set of dresser drawers in between. The master head lies forward of the living quarters, matching the fixtures and quartzite in the dayhead. 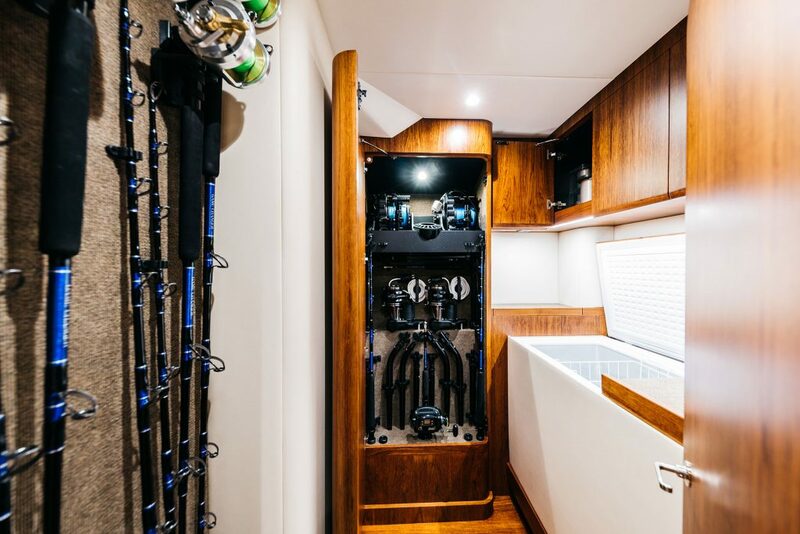 Beneath the forward master, the carpet lifts to reveal covert storage in the machine tunnel- a strong feature intended for additional provisioning on longer fishing trips. 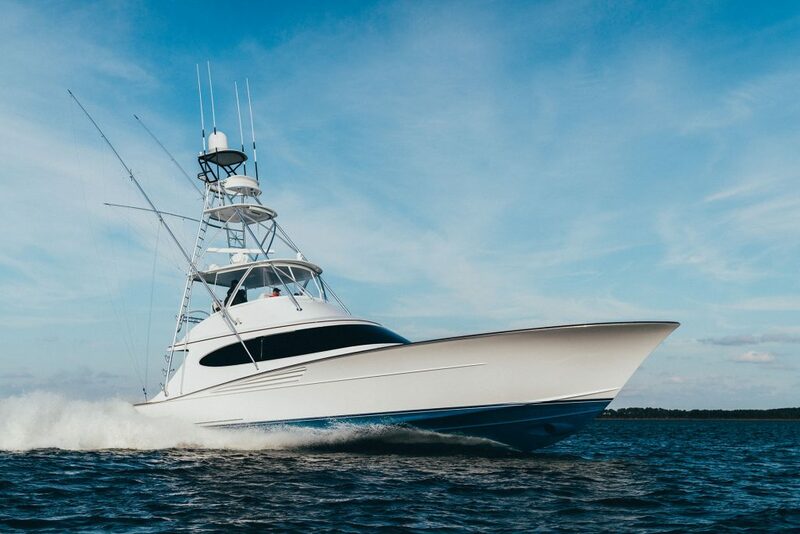 Bayliss Boatworks has been building custom sportfishing yachts since 2002. 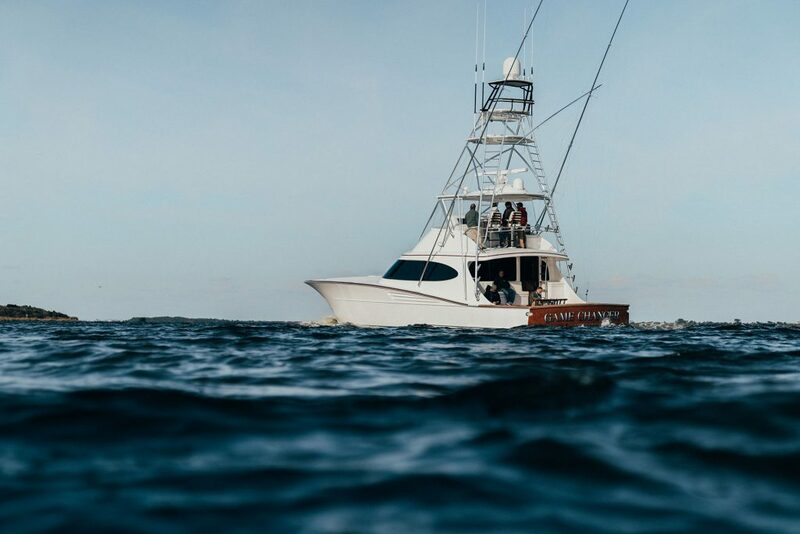 Four additional builds are in progress at the company’s facility in Wanchese, including the 78’ Blue View, a 75-footer, and two GameBoats – both sized at 62 feet.